D.I. Simon Fenchurch and his wife, Abigail, are out for dinner when Simon notices a young woman approaching, clutching her cell phone. His policeman's instincts tell him, from her body language, that she is being followed. She begins to run toward him when a figure on a bicycle appears, snatches her purse and cell and plunges a knife into her neck. The young woman is left, dying in a pool of blood . Her last word is the name, Kamal. Simon sets off in pursuit of the bicyclist. He apprehends him but is unable to put together the evidence to hold him. His investigation leads him into the world of gangs, a group of cell phone thieves led by a vicious killer and the financial double-dealings of the 1%. The death of this young woman is only the beginning. The second book in the D.I. 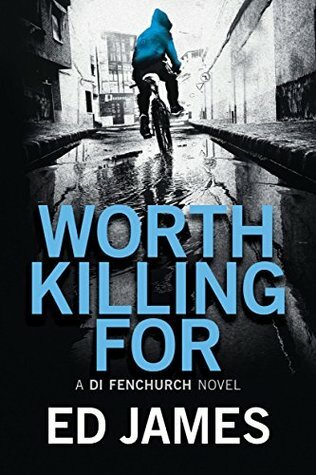 Fenchurch series, after The Hope That Kills, does not disappoint. It is fast moving, action packed and features some epic chases on the streets of East London and the tunnels of the Underground. The characters are well-rounded with all the flaws of real people. The loss of their daughter, Chloe, eight years earlier to an unknown fate colors everything that Simon and Abigail do, but this case is not really about Chloe. Snappy dialogue and characterization lift this series above the usual run of crime stories. I highly recommend the D.I. Fenchurch series to fans of British crime fiction. Thanks to Thomas & Mercer and Netgalley for a digital copy in return for an honest review.